- Aircraft grade aluminum, CNC machined. 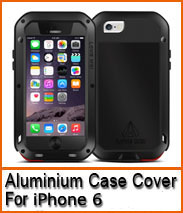 - Ultra light & durable metal case, environmental Genuine leather to avoid any scratch. - Fashionable design, smooth hand-feel, easier maintenance. - Protection from dirt, dust and dings, scratch resistance. - Cutouts allow access to all ports, switches, speakers, and sensors.